Inside of Silo….drain hole in the bottom. 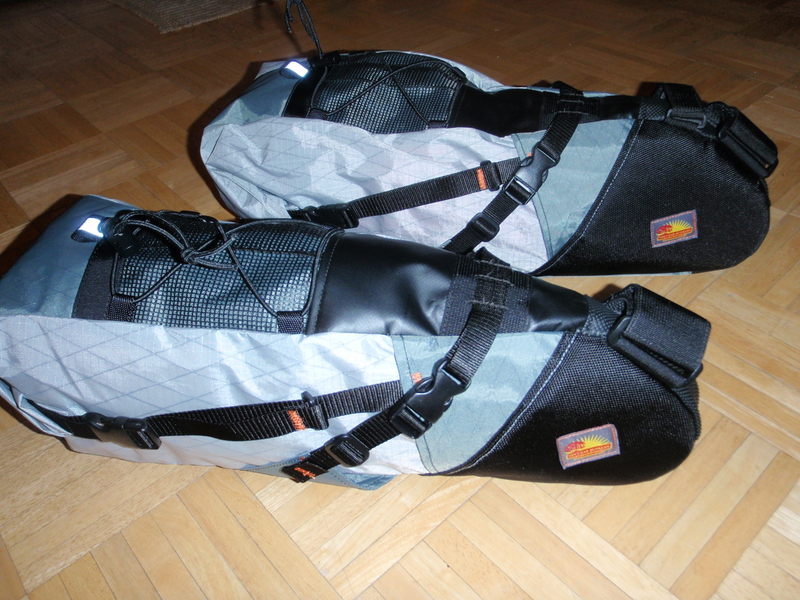 Inside of partial frame bag. Pointing at nothingness in Sycamore Canyon, AZ. Me and two fully “Nuked” rides after the Coconino 250. 2 nights on the trail, heinous single track, lots of dirt and dust. Zero problems with our gear. Small Superfly 100 frame bag. Customer was very pleased with how much it “crap” it held. Very nice map pocket on phat bike bag. Frame bag for phat bike. Velcro needs some trimming…. Tall enough to store Clif Bars vertically and pouch for smart phone. Top tube tanks – 3 basic sizes…..
Beto’s Form 29er ready to roll with 2 compartment frame bag, gas tank, and bar harness/bag combo. 2 compartment frame bag, gas tank, and bar harness system in the Huachuca Mtns.